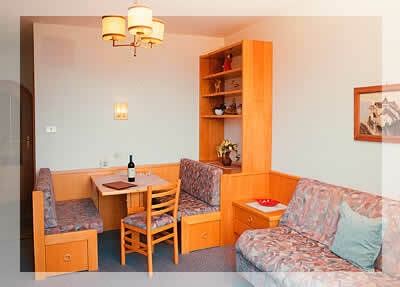 Our comfortable rooms all have shower/WC facilities, a safe and a balcony with beautiful panoramic views. 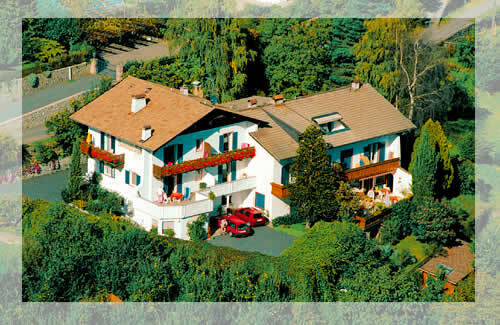 Opting for a bed and breakfast accommodation will guarantee you a maximum of independence. Should you prefer, we also offer three stylish holiday apartments with all mod cons. Our big sun terrace provides the perfect spot to enjoy the stunning views over the local mountain range. At the centre of wonderful flower beds you will find the calm spot of our hotel: the lawn. For some this represents the ideal space to relish nature and to dream. 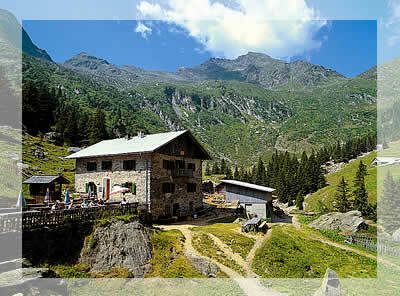 South Tyrolean is nature is breathtaking: the weather is generally nice from early spring to late autumn the sun really loves this part of the world and you will hardly want to stay inside, although you will love the family atmosphere of our hotel. However, if you are looking for some city life the historic village of Dorf Tirol and its famous castle, Schloss Tirol, are just 10 minutes away. 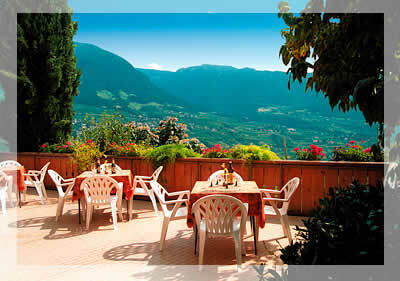 From here you will have magnificent views over the large valley of the Adige and Merano is gigantic mountain tops. 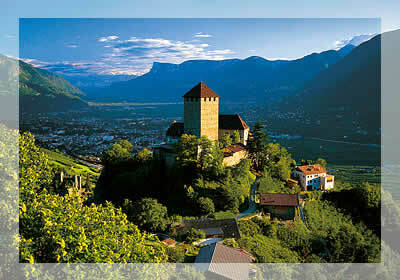 You can also reach the town of Merano easily either by foot or by bus. 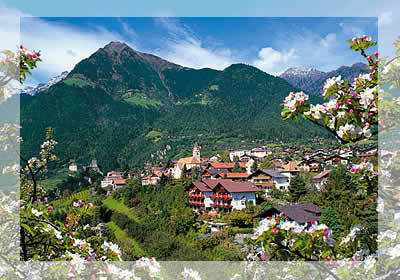 In springtime, Dorf Tirol and the surrounding countryside are transformed into a sea of blossoms. A walk through the fragrant apple orchards is a truly special experience! Our house is an ideal base for hikes and walks. Whether a leisurely stroll along the Falknerweg, a hike punctuated by refreshments at a traditional alpine hut, or a tour of the high peaks – you are certain to be completely captivated! For stays of 7 days or more. per day payable on departure. 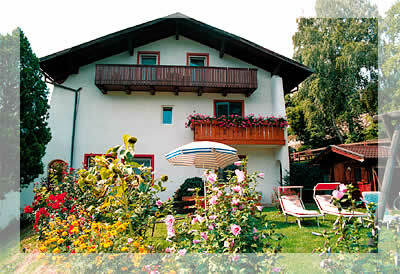 Shower/WC, safe, satellite TV, phone with direct dialling connection, seating area, southfacing balcony (with beautiful views over the surroundings of Dorf Tirol) and big breakfast. For stays of 2 to 6 days the prices are: 45,00 - 30,00 per person per day. Safe, satellite TV, phone with direct dialling connection, balcony, double room with shower/WC, completely functioning kitchen, comfortable lounge with dining area, sofa. For stays of 2 to 6 days the prices are: 65,00 - 120,00 per person per day. All the rooms of apartments are separated by doors from each other. 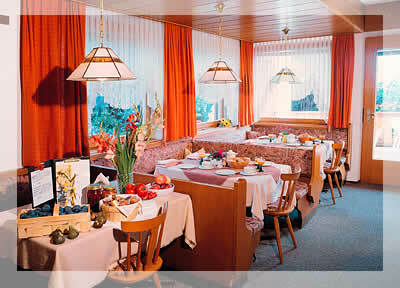 The prices are per 2 people sharing, including bedding and towels, final cleaning and fresh bread for breakfast. • We offer various discounts. On request you will get more detailed information. • Arrival: The rooms / apartments are ready from 13.00 clock. • We recommend taking out travel insurance. • Dogs are not allowed -small dogs on request.